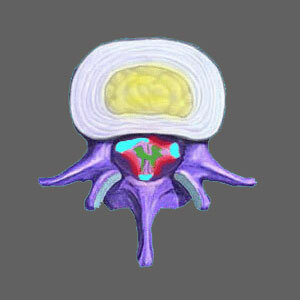 Nonsurgical treatment for spinal stenosis comes in various forms and many levels of effectiveness. Any treatment that allows a patient to avoid an operation can surely be called nonsurgical, but this does not mean that these therapies will be at all effective in resolving stenotic changes in the spinal canal or even in managing the symptoms of stenosis. Patients often get lured into nonsurgical modalities out of fear, never actually taking the time to ask how, or if, the treatment will help them long-term. This is a terrible mistake, since nonsurgical treatment, which does not provide a cure, can waste years of time and tens of thousands of dollars, while not eliciting any tangible or lasting benefits. This essay helps patients to avoid the usual mistakes of nonsurgical treatment by clarifying exactly how noninvasive stenosis care practices can help, as well as explaining the great limitations of most noninvasive therapies. Many patients fear the idea of going under the knife for spinal surgery. These emotions are both completely understandable and downright intelligent. After all, spinal stenosis surgery is risky, painful and often ineffective at resolving back or neck pain. This fear leads many patients into long lasting symptomatic care routines, involving the most common noninvasive stenosis treatments, including chiropractic, massage, TENS, physical therapy and pharmaceutical therapy. Chiropractic might provide the occasional cure for disc-related stenosis, but all other types of stenosis will not resolve using typical spinal manipulation. None of the other methods of conservative care will do anything at all to change the interior of the spinal canal, so they are completely ineffective at curing stenosis, although many might provide relief for symptomatic expressions. Years can pass and many patients do not know how they got stuck in these extended, expensive and ineffective cycles of symptom-based care, until it is often too late for anything except the most drastic surgical care practices to be utilized. I am all for the idea of nonsurgical care. In fact, I have made it my life’s work speaking out against the overuse, horrors and barbarism of back surgery in virtually all its forms. However, for stenosis scenarios, surgery is sometimes actually needed. Regardless, there is good news. Stenosis procedures actually have a fair cure rate and are statistically far more effectual than most other types of back and neck pain operations. This is great for patients who do decide to go the surgical route. But, there is another option for some lucky patients, with particular types of stenotic changes. This path is called nonsurgical spinal decompression. Decompresion therapy, using the DRX9000, AccuSpina, Vax-D, Antalgic Trak and other systems of care, can permanently end some types of stenosis conditions. This therapy works without any pain or surgery whatsoever. While decompression sounds like a miracle cure, it is actually incredibly limited in usefulness for stenosis sufferers. In fact, the best application of modern decompression is for patients with transitional disc-related stenosis and some forms of joint-related changes. Most patients with the typical forms of age-related interior canal stenosis will see little, if any, benefit from decompression, so proper diagnosis and treatment screening is paramount in order to avoid a disappointing therapy outcome. Sure, surgery is scary and can do more harm than good. Sure, I have spoken out against it for decades already and almost find myself choking on the very words that plead with some patients to consider it. However, these are wise words for some patients to hear. In many instances, surgery is not only the only logical treatment for stenosis; it is also an absolute necessity, in order to preserve neurological functionality, and sometimes, life itself. In other cases, surgery is optional and may be avoided for a time, or even indefinitely, with a bit of luck. Some patients can do alright using constructive symptom-based care or even not utilizing any professional stenosis treatment at all. A few patients are blessed enough to benefit from cures provided by nonsurgical decompression, chiropractic or some other modality. Although these cases do represent the extreme exception to the usual stenosis patient profile, they certainly exist. Are you one of the lucky few? Only your neurologist or orthopedist can say for sure.